Inspired by the exhibition Nicolas Moufarrrege: Recognize My Sign, join us to learn embroidery from a textile artist. Needlework Designer Mariana Barran Goodall is hosting an art embroidery class at CAMH. 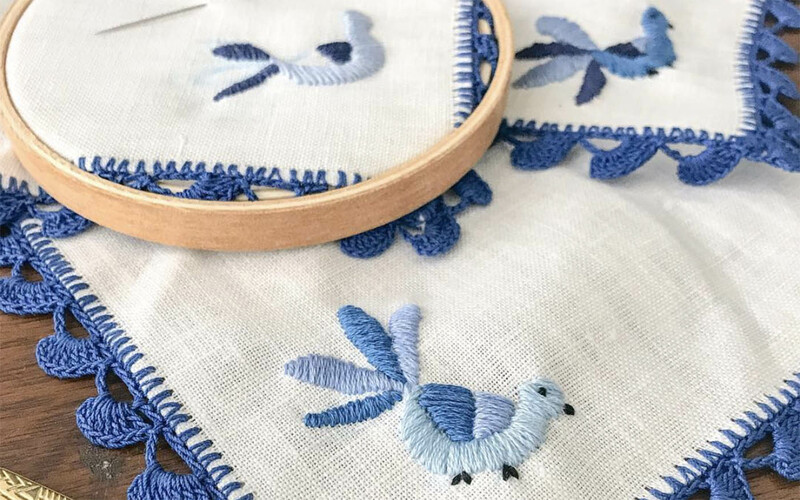 In this workshop, Goodall will teach basic techniques used in hand embroidering for you to create a unique piece of art on canvas. No previous experience is necessary. Needlework Designer Mariana Barran Goodall’s work combines a modern aesthetic with traditional textile and needlework techniques. The artist, a Mexican designer, is passionate about preserving old world stitching methods. This allows her to work through heritage textiles to reveal new insights in a very simple matter. She believes in the warmth and universal language that comes from a piece of art made completely by hand. Her Houston-based collection Hibiscus Linens is the result of her creative mind and needle working hands.